Shelley cartoons: The white elephant. 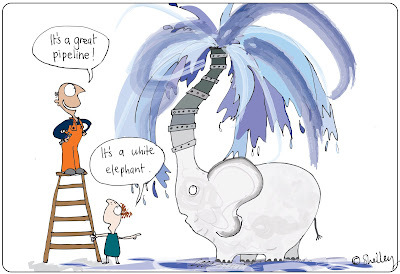 Ted Baillieu called the Victorian pipeline a white elephant. So I created this which was on today's letters page of The Age.